The combination of music and cruises has globally become a $1 billion industry reaching all sorts of music genres – and Australia is among the most high profile of the countries. 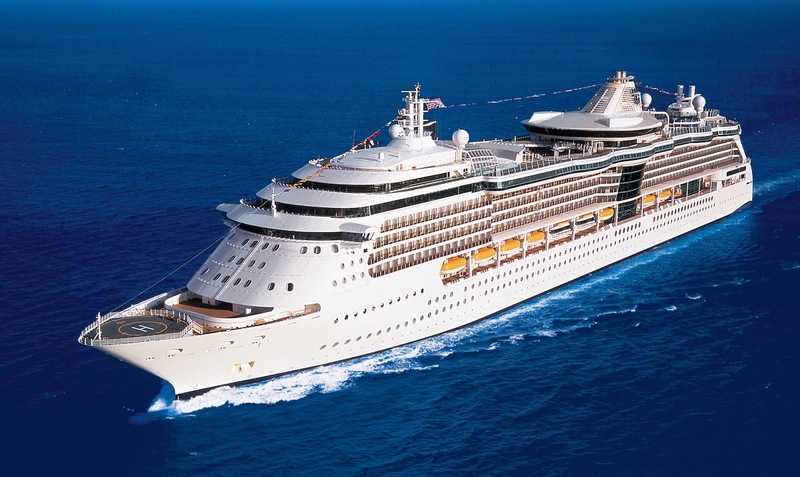 Next October, about 2,200 of them will be trooping onto Royal Caribbean’s new five-star cruise ship Serenade of the Seas for eight nights to listen to 50 country music acts. Cruisin’ Country is celebrating its 10th year of putting country music on the high seas. Between 40% to 45% will be repeat customers. Their age range from 40 to 70, and 60% of them are female. CEO of Choose Your Cruise and Artist Network. Choose Your Cruise alone also has journeys for rock, Bravo (opera, music theatre and classical) Cruise “n” Groove and Legends and done 36 of these cruises. It’s also taken its brand to the UK where it has hosted four ships of Rock and Opera. Its Rock The Boat for November/December 2020 on Radiance of The Seas has just been announced with Suzi Quatro, Jon Stevens, Russell Morris, Ross Wilson and Queen, AC/DC, Creedence and Tina Turner tribute shows – and is their fastest selling show with half the tickets going in the first 24 hours. Els points out, “There has been a huge growth in cruising globally over the past eight to ten years. “Our themed cruises Country, Performing Arts and Rock are genre specific so don’t tend to compete with what most see as traditional cruising. “Music festivals at sea have introduced a new audience to cruising. Like land festivals, cruises too are attracting a younger clientele – bringing with them changes in experiences expected and what they want out of a holiday. Australia’s 10th Cruisin’ Country will October 5—13 stop at a number of Pacific Island ports of call including Lifou (Loyalty Islands), Isle of Pines (New Caledonia) and Noumea (New Caledonia). Next year’s musical theme is A Family Affair. Headliner Lee Kernaghan performs with sister Tania Kernaghan and multi-award winning patriarch, Ray Kernaghan. Troy Cassar-Daley’s sets will include wife Laurel Edwards and children, Clay and Jemma. Slim Dusty’s family will also be on board with Anne and David Kirkpatrick and Slim and Joy’s grandchildren. Gina Jeffreys and producer Rod McCormack and their family will also hit the stage. The theme continues with Toombs Brothers, Brothers 3, Ashleigh Dallas with father Rex Dallas, sibling trio Homegrown and for the very first time, The Kids of Country Band, a performance by the headliners’ children. The difference in catching country music at a land festival and a cruise is marked. “It’s a very different dynamic because the ship is 5 star in every way,” Els explains. “The music starts around 9am and operates across seven venues till around 2am. “The venue is moving and visiting islands along the way, offering opportunities for unique adventures to add to the whole experience. There are the traditional guitar and songwriting workshops and open mic sessions, while 2012 will see the introduction of Uke’ol’opry workshops for which fans can bring their ukuleles or purchase one on board. Leaving behind the norms of the land creates a change in behaviour once the ships set out – with no curfews, the sets are longer, and with no booze buses, the punters’ party harder. “It’s bloody fantasy land out there!” Els chuckles. “People and the artists just love it. “It’s funny when 2200 people walk up that gangplank and have a common interest in music all the barriers go down and become one big family loving the music we have all grown up with. “The biggest headliners, international or domestic end up jamming around the ship and it’s not uncommon to see Jose Carreras, Jimmy Barnes, Lee Kernaghan or the guys from Foreigner performing with someone. “I think in the end we just get back to our roots and do what comes naturally with the most dedicated and committed musical family. “Sometimes our Opera cruise can be as crazy as a Rock Cruise. “Many new relationships created, new songwriting partnerships and the creativity ends up somewhere on the mainland. “As an industry we have known each other for decades but only meet briefly backstage at a show or function. “The themed cruises give us all the opportunity to have a 5-star dinner, see a show, sit in a bar by the pool or share quality family time on one of the tropical islands.